Land acquisition for industry and infrastructure has become a source of major conflict in the last half decade in India. Sites like Singur, Nandigram, Niyamgiri, and Maha Mumbai, and phenomena like the Maoist insurgency are well-known. Some believe that land acquisition is the 'biggest problem' in India's growth path. It is a central political issue in several states. A massive new land acquisition bill with serious long-term consequences is making its way through parliament. Stories about acquisition are in newspapers and on television every day. Opinion, bombast, and misinformation are abundant. Thoughtfulness and clarity are rare. This book brings clarity, depth, and understanding to this contentious and chaotic issue. The explanations are organized around three core themes: the price of land, the role of the state, and changes in land and information markets. 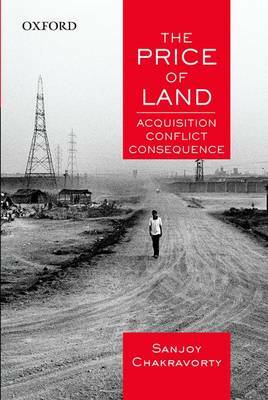 The book begins with a summary of the extent of land conflicts and prices nationwide and details of selected notorious conflicts with an emphasis on the role of civil society. The second section explains the origins of the conflicts and the role of the state, especially through the contradictions between the 'giving' state (which does land reforms) and the 'taking' state (which acquires land). The final section analyses the reality of the land market in India today and the emerging legal and policy approaches to resolving the crisis.